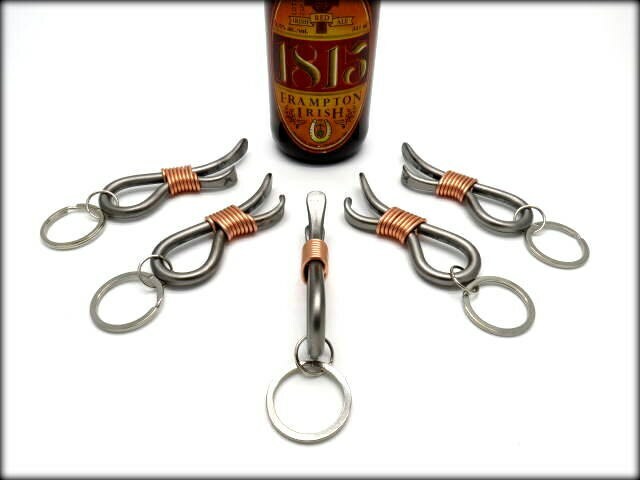 This listing gets you 5 keychain bottle openers, during checkout, you will have to choose between "No personalization" or "Personalized". 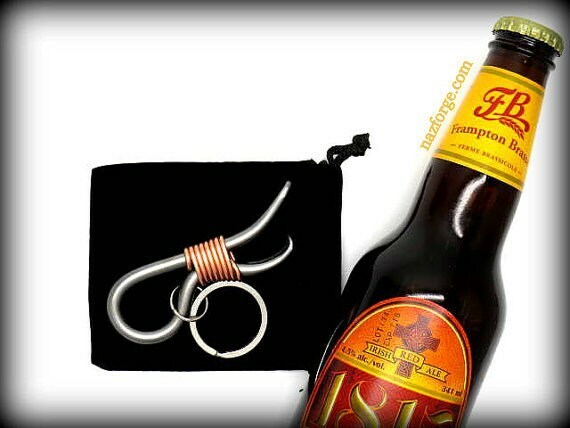 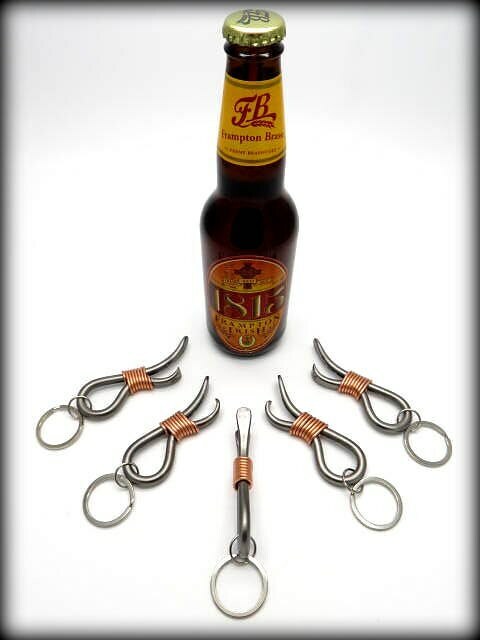 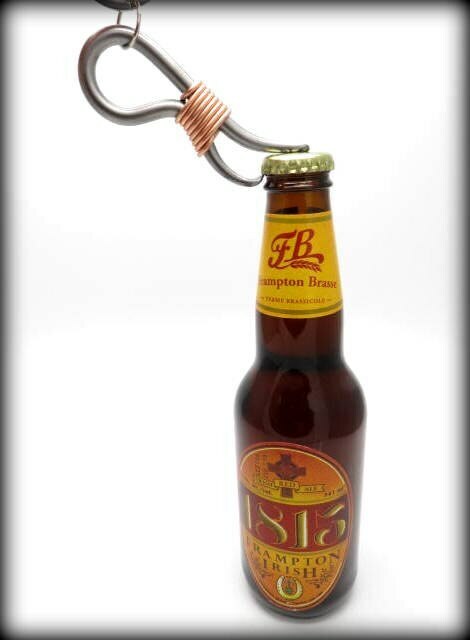 "No personalization" gets you 5 hand forged bottle openers signed with my maker's mark "Naz" to guarantee authenticity. 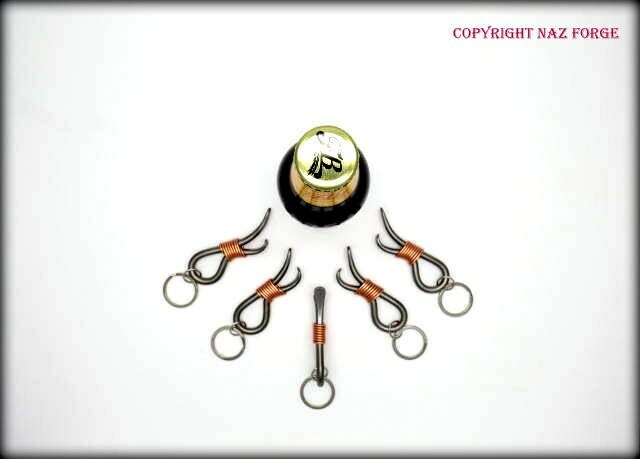 There will be a "note to seller" section during checkout, this is where you can write what you would like to have written on your 5 personalized keychain bottle openers if you choose to have them personalized.